Several thousand items of plant and equipment used on the construction of the £1.3bn Queensferry Crossing will go up for auction later this month. 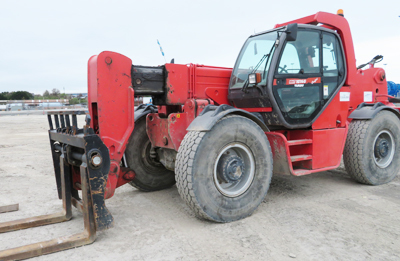 Telehandlers, generators, work platforms and small plant are among more than 1,000 lots to be offered in two online auctions by Glasgow auctioneer Sweeney Kincaid. The first will be May 24 with a second phase of bidding to follow around a month later. A number of Manitous will be on offer. The equipment is being sold under the instructions of the Forth Crossing Bridge Constructors JV and is the latest in a series of high-profile sales by Sweeney Kincaid, which beat off competition from a number of other major auction houses. 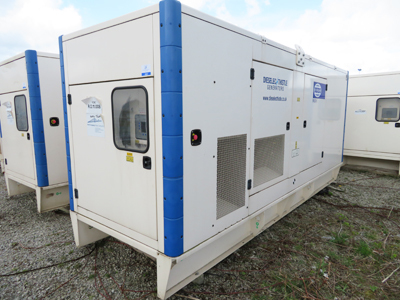 One of the fleet of generators in the sale. The company has handled some of the UK’s largest equipment auctions over the past three decades and sold assets to buyers in more than 80 countries worldwide. Equipment is sold from its HQ auction centre in Hillington monthly by online auction and at sellers’ premises throughout the UK.